The Gunrunner was a low-cost expendable ballistic aerial target system for air-defense weapon training. It was developed in the late 1960s mainly for use in Army and Navy training with the FIM-43 Redeye man-portable surface-to-air missiles, and entered service in 1969. In March 1971, the designation MQR-16A was assigned to Gunrunner. The MQR-16A was of simple and light-weight construction, using plywood fins and readily available HVAR (High Velocity Aerial Rocket) motors for propulsion. It carried an IR source in the nose to make lock-on by the FIM-43 Redeye missile possible. 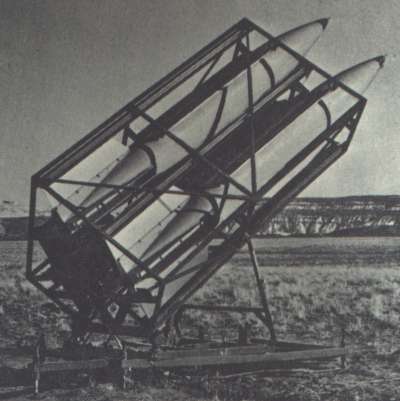 For a high launch rate, the Gunrunner was launched from a three-rocket launcher with adjustable elevation and azimuth. The target was probably phased out of service at some time in the late 1980s.